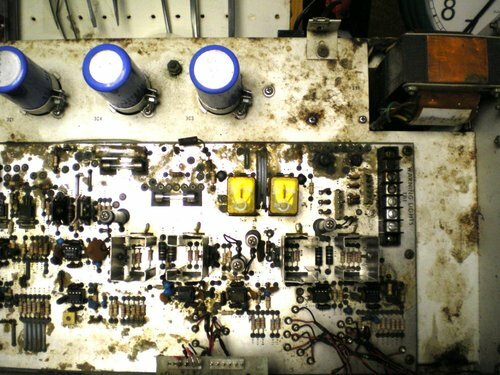 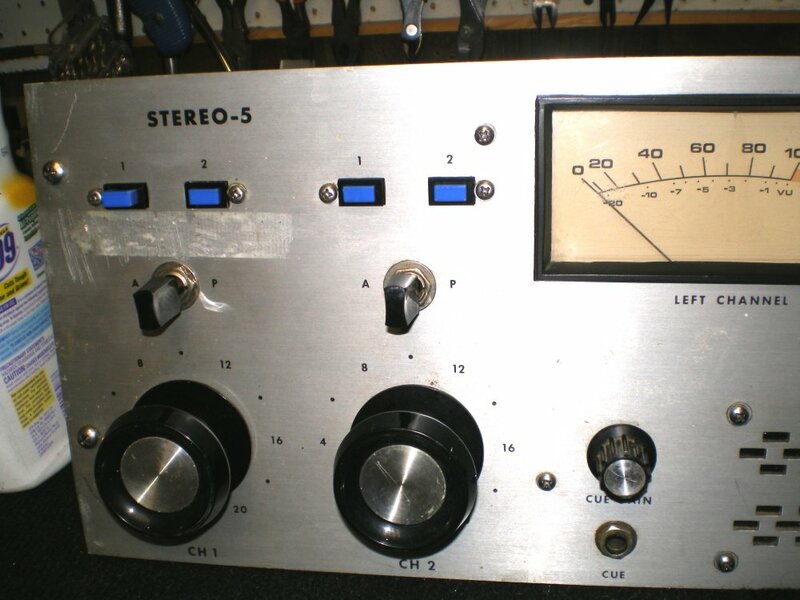 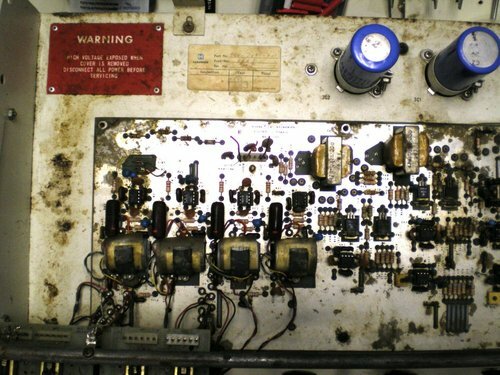 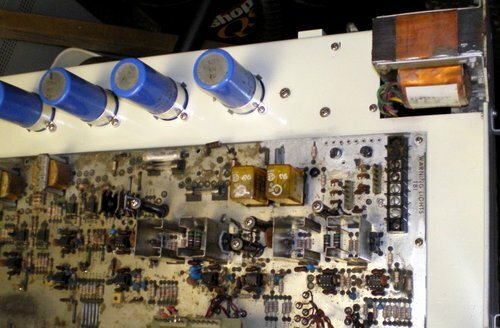 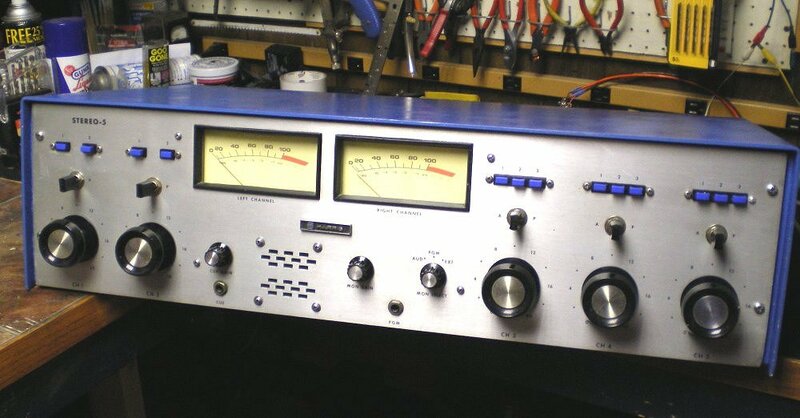 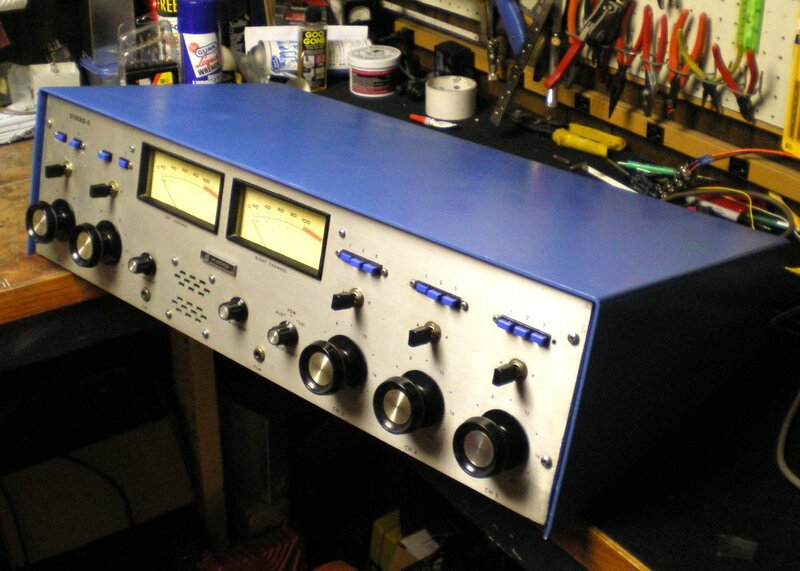 Harris Corporation offered a low cost option for stations wanting to get a real stereo board and not have a lot of features, that they might never use, thus the Stereo Five was born. Cleaning this up took some work, but that is the fun of it. 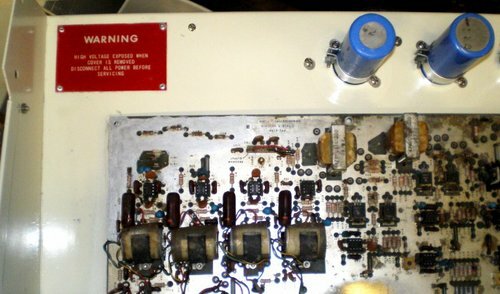 A HARRIS inspection sticker went back in the proper place before I shipped it back. "Other side was just as bad"
I cleaned up the rust and yuck inside, correct a few electrical problems, and re faced the V U meters, then a general cleaning on the front face and a repainting of the entire console and she was lookin' good.